Ireland head coach Joe Schmidt has been forced into a late change to the Ireland team to face Scotland. Rob Kearney is included in the Ireland team for the Six Nations showdown with Scotland at Murrayfield. Kearney starts at full back, with Schmidt originally planning on shifting Robbie Henshaw to the centre to replace the injured Garry Ringrose. The Leinster man picked up a knock which has forced him out, Chris Farrell starts at 13 in place of Henshaw. Sean O'Brien gets the nod ahead of his Leinster team mate Josh van der Flier, who drops to the bench. Injury has opened the door for Quinn Roux and Jack Conan to come in for Devin Toner and CJ Stander. The loss of Henshaw adds to a growing injury list, with Schmidt preparing for this game without Devin Toner, Iain Henderson, Tadhg Beirne, Garry Ringrose, Andrew Conway, CJ Stander, Dan Leavy, Luke McGrath and Kieran Marmion. Sean Maitland's returned to Scotland's starting line-up as one of four changes for Saturday's Six Nations clash with Ireland. Last year's top try scorer replaces Blair Kinghorn after recovering from a hamstring injury. Simon Berghan, Josh Strauss and Jonny Gray come in for Willem Nel, Sam Skinner and Ben Toolis for the match at Murrayfield. 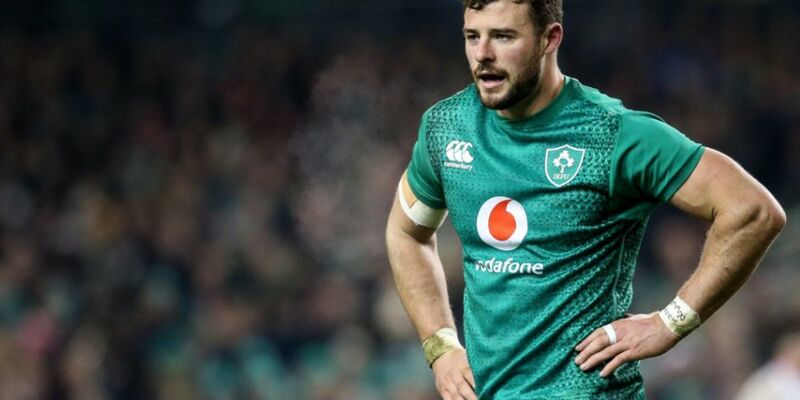 Peter O'Mahony: "I don’t think we weren’t motivated"